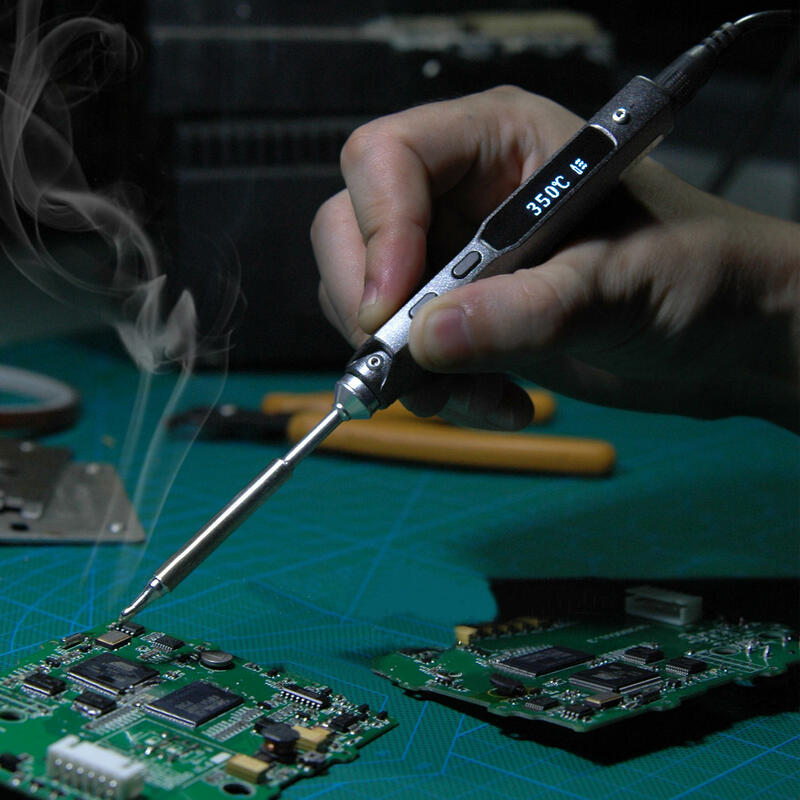 2015 New model solder iron station coming! starting sale now! We meet it first time and can't wait to introduce to you immediately. Work between DC12-24V, with OLED screen, temperature adjustment buttons, external power independently, up to 300 ℃ just need as low as 10 sec. * Based on 304 stainless steel nested polycarbonate housing, integration of safety circuit design power supply interface, anti-static structure, embedded STM32 processor chip, dual temperature sensor and acceleration extreme cooperate, TS100 intelligent temperature control between 100-400 degrees, instantaneous heating, automatic dormancy, overtemperature alarm, and other functions. * External independent power supply : DC5525 power interface, suitable for notebook DC12-24V power supply, car power and mobile power supply. * Micro USB interface: Through edit the parameter file, custom your own temperature curve and buttons function. * Additional features: Open source for writting your own App. Here are 3 helpful files to you, Could read/download from below.